While the heat of the summer is (hopefully) soon drawing to a close, your TV screen is about to heat with a whole host of new shows, as well as some big changes to some of your beloved TV favorites, too. Let’s take a look at what we have to look forward to in the coming months. The most notable cast departure, both this Fall season and possibly in all of TV history, is Roseanne Barr’s removal from her namesake TV show. Within hours of racist tweets, Roseanne was quickly canceled by ABC, even though it was the network’s number one show. However, despite the absence of Barr, season 11 of the recently-returned show might actually live on, at least in some form. ABC announced development of The Conners, a spin-off show featuring the remaining characters. Considering Laurie Metcalf has been nominated for two Emmys for season 11, expect Aunt Jackie to be featured prominently in the new show, which does not currently have a start date. Fox’s steady hit enters it’s third season on September 25 – only with a major cast change. Star and occasional episode director Clayne Crawford was released from the show by Fox following charges of reckless and dangerous on-set behavior. Considering he played Detective Martin Riggs, the role originated by Mel Gibson in the 1987 film, the future of the series was in doubt. But the numbers were good enough for Fox to order a third season, although one without Crawford. Instead, American Pie star Sean William Scott will step into a new role, rumored to be that of Riggs’ brother. Today’s TV landscape grows larger each season, offering TV shows a better chance than ever to find the perfect home. Two popular TV shows are returning with new seasons – and on new networks. First up is Brooklyn Nine-Nine, the popular ensemble comedy starring Andy Samberg, Terry Crews and others as New York police detectives. Running for five years on Friday on FOX, the series didn’t draw enough numbers for the network to greenlight a sixth season. However, cancellation sparked a surprisingly fast and passionate response from fans online. And to the delight of those fans, the series was picked up by NBC about 24 hours after being canceled by Fox. 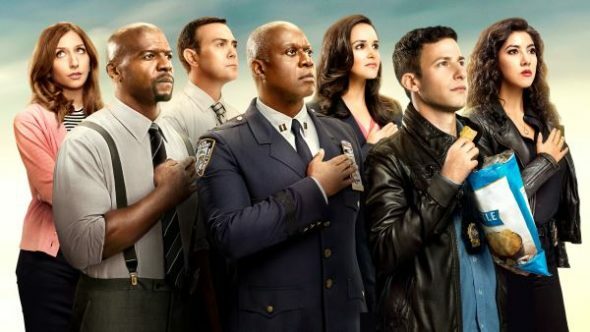 The peacock network ordered 13 episodes of what will be Brooklyn Nine-Nine’s sixth season. The other show making a return, but to a new network, is the Tim Allen vehicle Last Man Standing. However, in this case, the show is moving to FOX. Originally an ABC show, Last Man Standing was canceled by that network in May. Insider experts speculate that FOX purchased the show in an attempt to replicate the success of Roseanne, as Last Man Standing features a similar blue-collar, conservative vibe. Popular favorites return in the Fall across cable and broadcast. Fox is betting big this fall on 9-1-1. Centering on an interconnected pair of cops, paramedics and emergency operations, the hour-long drama was Fox’s most successful new show last season, which was also the series’ first. The second season debuts September 23 with a two-night premiere. Fox is hoping to draw even larger numbers with the new season. Part one of the premiere debuts following a Sunday Night NFL game. The second part airs Monday after The Resident, another returning hit from last year about an autistic doctor. However, 9-1-1 has some significant cast changes this year. Connie Britton will no longer be a series regular, leaving open plotlines about her emergency operator character. However, a new 911 operator, played by new series regular Jennifer Love Hewitt, will likely mean the call center will stay play an important role in the story. Fans of the show will be interested to know that Hewitt plays the sister of fireman character Buck. Other returning Fox favorites include the Sons of Anarchy spinoff Mayans M.C. (September 4), It’s Always Sunny in Philadelphia (September 5) and American Horror Story (September 12). The new season of AHS will be a crossover of storylines from both season one’s Murder Hours and season three’s Coven. ABC is no longer interested in Last Man Standing, instead focusing most of their promotional efforts this Fall on the new Alex, Inc. 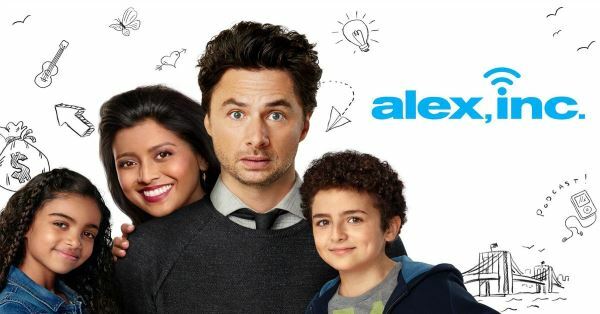 Featuring former Scrubs star Zach Braff’s return to primetime television, Alex Inc. centers around a father of two who quits his job to start his own company while also podcasting his daily life. The series also stars Tiya Sircar, Hillary Anne Matthews and Michael Imperioli. The network is also focused on The Crossing, another new show – only this one has a decidedly mysterious, sci-fi premise. In the series, a small American fishing town is suddenly beset from war refugees. However, these refugees are fleeing from a war which takes place in the future. On-going, high-concept mystery shows have done well in the past – think Lost and Twin Peaks – and ABC is hoping to repeat those successes here. 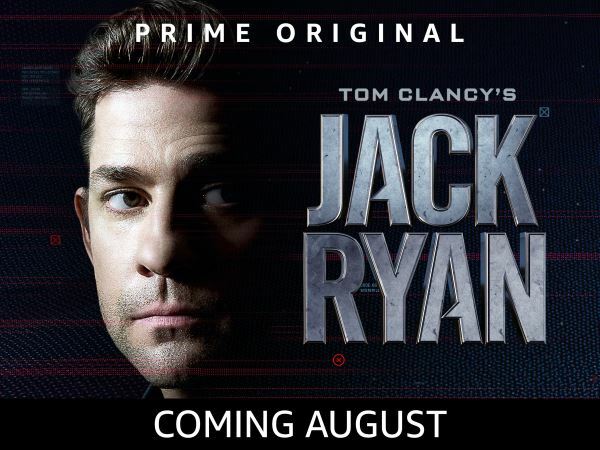 Tom Clancy action hero Jack Ryan – featured in numerous movies including The Hunt for Red October – debuts on the small screen August 31st on Amazon in Jack Ryan. Amazon has been attempting to stir up buzz for this show since February, when a trailer debuted during the Super Bowl. Taking up the Jack Ryan mantle this time around is John Krasinski, fresh from writing and directing duties on the hit film A Quiet Place (and, of course, familiar to just about everyone as Jim from The Office). The “Arrowverse” shows continue to provide the bulk of CW’s viewership, and this new season should be no exception. Arrow, The Flash and Legends of Tomorrow all return, although each will experience some degree of cast changes. Most notable is the return of Matt Ryan’s John Constantine, now a Legends regular. DC’s famous demonologist has found new life on the CW just a few short years after the cancellation of Constantine on NBC. Another significant cast change is the loss of Wally “Kid Flash” West, as actor Kieynana Lonsdale is stepping away from a regular role on Legends, although he will be guest-starring in the season five premiere of The Flash. As will every new TV season, networks are ultimately playing a guessing game as to what shows will hit big among viewers. While there’s been plenty of behind-the-scenes drama this year (especially at ABC), it remains to be seen what impact any of that may have on viewership. With more viewing options and shows available than ever before, audiences are becoming increasingly segmented. The Fall TV schedule for 2018 and into 2019 offers returning favorites, some significant character changes and drama both onscreen and off.